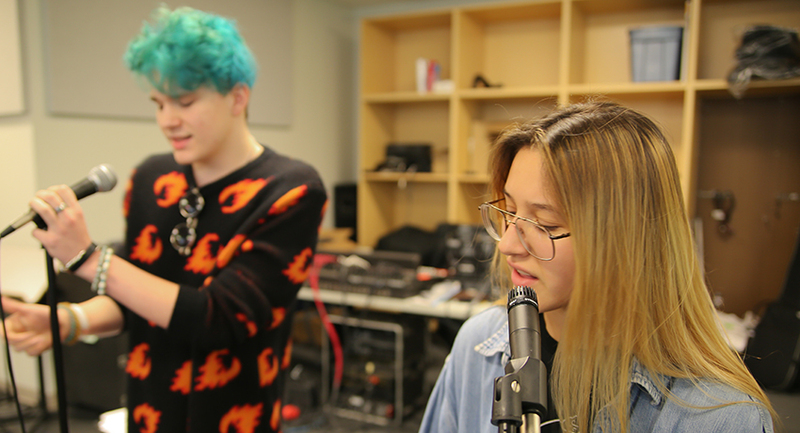 High School Music Day at Volunteer State Community College is an opportunity for high school students with musical interests to come together for a day of workshops and fun. Registration is open now. Vol State instructors will lead the sessions. The topics will include Keyboard Skills for Basic Music Theory; Functioning Successfully in a Bluegrass Group; Contemporary Songwriting: Fishing for Hooks; The Do’s and Don’ts of Music Row; From Recording to Mixdown; So You Wanna Lead Worship? ; From High School Band to the Nashville Symphony; Not Just Country Music City; and Audition Prep: Musical Theatre vs. College Vocal Scholarship. Students will be able to pick two sessions to attend. High School Music Day is free and open to all high school students in the area. It will be held on Saturday, February 23 from 10 a.m. to 3 p.m. on the Vol State campus at 1480 Nashville Pike in Gallatin. The workshops will held in the recording and performance spaces in the Steinhauer-Rogan-Black (SRB) Humanities Building. Students are encouraged to bring their instrument. Pianos will be provided. A few pre-chosen singer/songwriters will have an opportunity to record a song. Interested students should email benjamin.graves@volstate.edu. Registration for Music Day is required and can be accomplished at www.volstate.edu/HSMusicDay. For more information call 615-230-3302.